Any guests having tattoo on their body can not enter the public baths. The Sekizenkan Ryokan (Japanese-Style Inn) consists of the Main Building, the Sanso Building and Kashotei. Built in 1691, the Main Building is known as the oldest hot spring hotel in Japan. 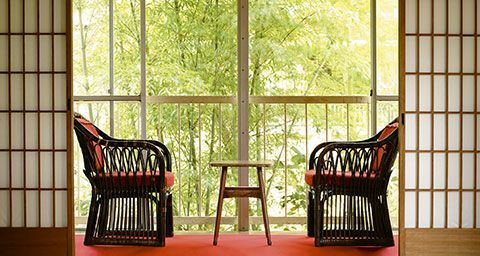 with the fixtures in each room containing delicate workmanship, helping to make this a building beloved by politicians and prominent authors.The Kashotei is a traditional Japanese ryokan (inn) located in deep pine forest. and allows guests to experience beautiful scenery and comfortable stays. 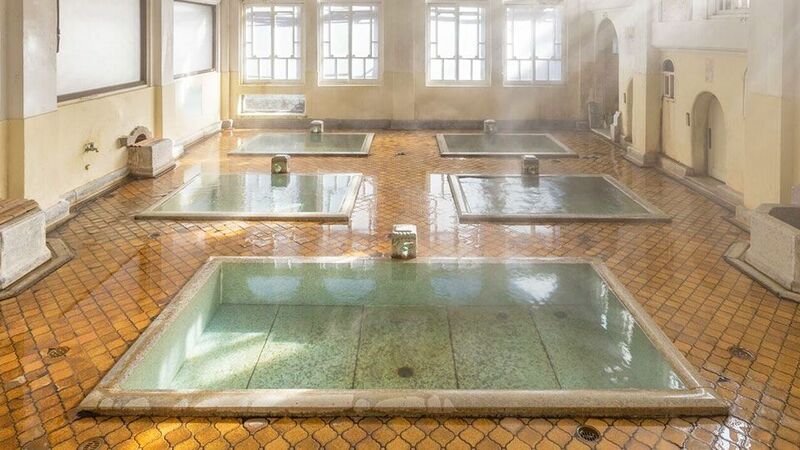 and the Genroku no Yu hot spring baths have been designated as cultural assets. The Shima hot springs area in which the Sekizenkan Ryokan (Japanese-Style Inn) is located was the first area in Japan to be designated as a hot spring health resort, and the high quality of its hot spring water is so well known that it is also referred to as “the cure for 40,000 illnesses” (“Shima” means 40,000 in Japanese.). 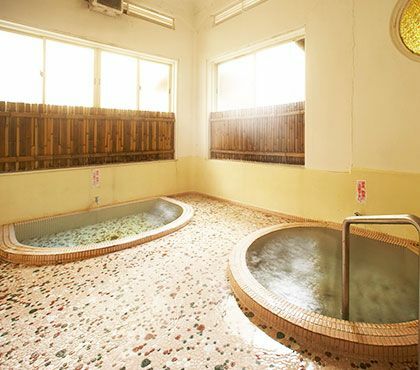 In addition, because the Sekizenkan Ryokan (Japanese-Style Inn) possesses its own hot spring with a flow rate of 800 liters per minute, guests can enjoy fresh, high quality hot spring water throughout their stay.The hotel has also received numerous Japanese media awards including “The best hot spring in Japan,”“The best 16 hot springs for depression,”“The best 3 hot springs for digestive system ailments,” and “Beautiful, secluded hot springs of Japan. The hotel has also served as a model for Hayao Miyazaki’s animated film “Spirited Away”, and as a filming location for the movie “Heaven Station” starring Sayuri Yoshinaga, as well as television dramas and commercials. Numerous television interviews have also been carried out at the hotel. 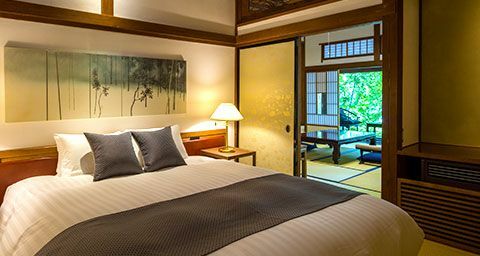 Established in the Shima hot springs area as a spa and inn in 1691, the Sekizenkan Ryokan (Japanese-Style Inn) has been entertaining guests for over 300 years. 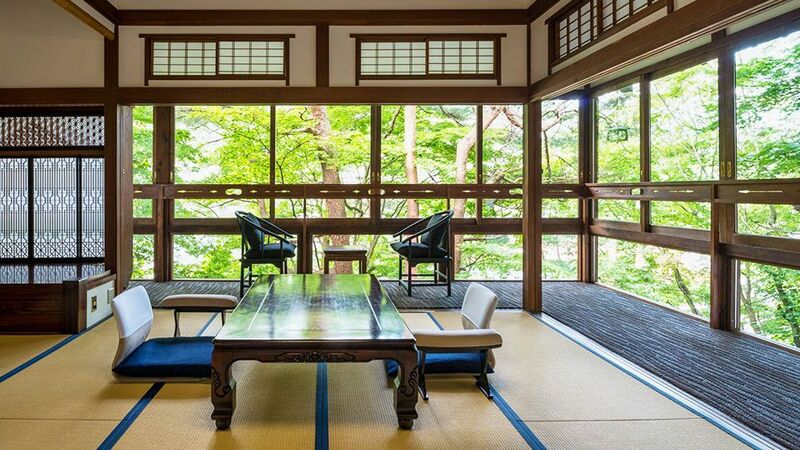 When first established, the main building was a typical two-storied Edo era hot spring inn consisting of 6 tatami mat guest rooms without closets and tokonoma (traditional Japanese alcoves). Guest rooms were separated by fusuma (sliding doors), and shoji (paper screen doors) were used for privacy from the outside of the inn. Although a third floor containing a shoin style banquet room was added around 1897, the main building is still the same size as when it was first built. 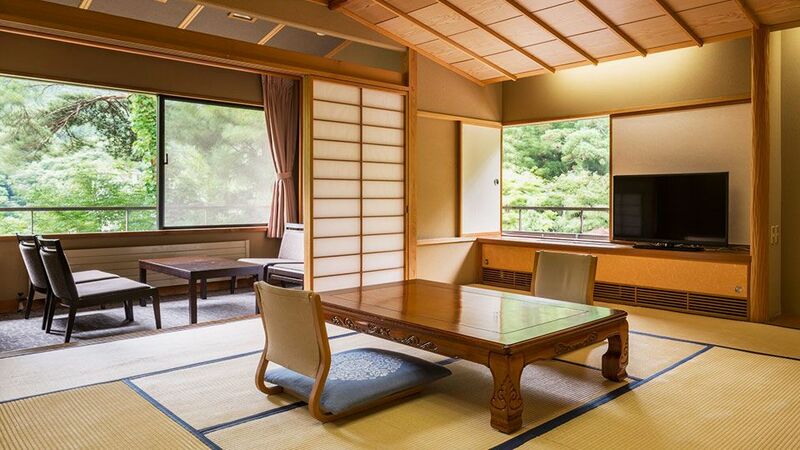 Built with all the elegance of Momoyama era architecture. Blending in perfectly with the surrounding environment, this building has been beloved by many famous personalities.Connected to the main building by a softly lighted passageway. 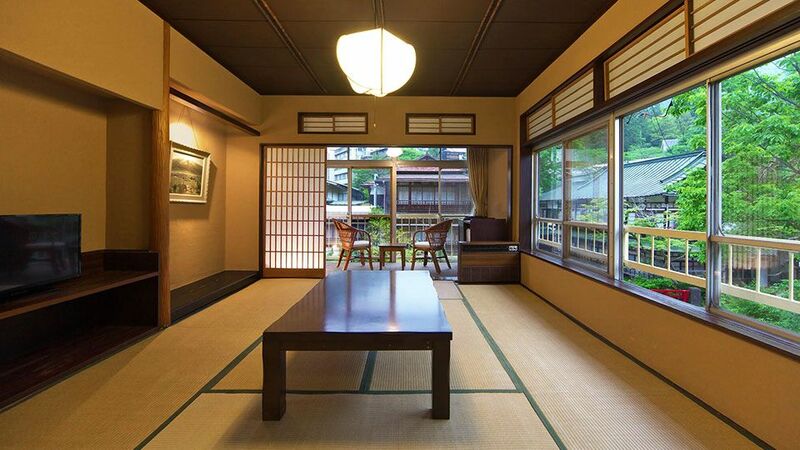 This elegant Momoyama era style building boasts the superior workmanship of master builders throughout its structure. Guestrooms visited by numerous famous personalities escaping the heat of summer in bygone days are still filled with the cooling murmur of a nearby stream. Special time surrounded by deep forest. The Kashotei is located further up from the Sanso wing on a high point away from undesired noise. The branches of old pine trees are reminiscent of majestic Japanese paintings. High, wide open skies and flowing clouds. Long known for its spectacular scenery, this location provides visitors with slow, quiet, and special time surrounded by a deep pine forest. The Genroku no Yu bath house is a Taisho era Romanesque building which was constructed in 1930. 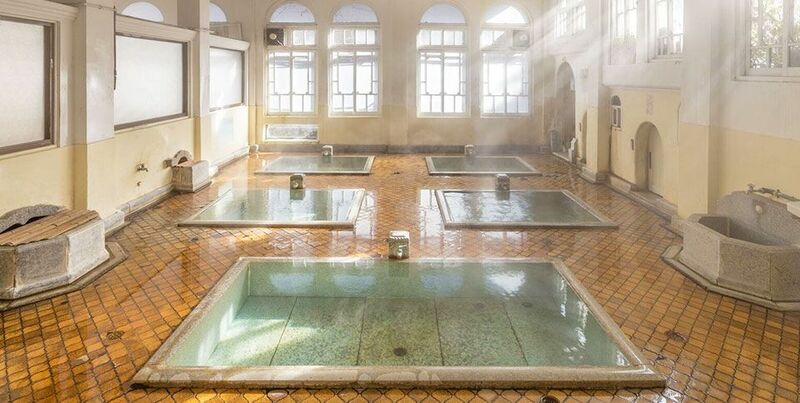 A variety of baths located in an expansive interior, arch windows, and a high ceiling all help to preserve the original atmosphere of this bath house. And of course, guests can enjoy fresh hot spring water at all times. 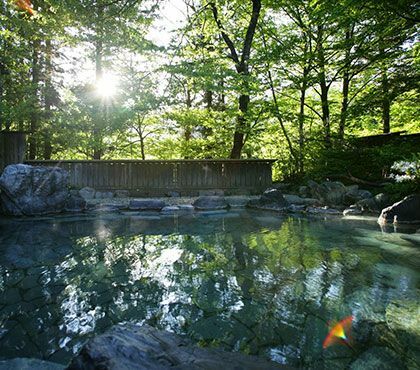 The Mori no Yu baths are a particular pride of the hotel, and consist of an outdoor and a large indoor bath surrounded by trees which give guests the opportunity to view seasonal foliage colors while relaxing in a hot bath. Enjoy an experience unique to the Sekizenkan which is surrounded by and has grown together with a beautiful natural forest. The “Sanso no Yu” bathroom can be locked from the inside and used by families. Enjoy a special family time. Your nakai (waitress) will bring your meals to your room to enjoy in a completely relaxed atmosphere. 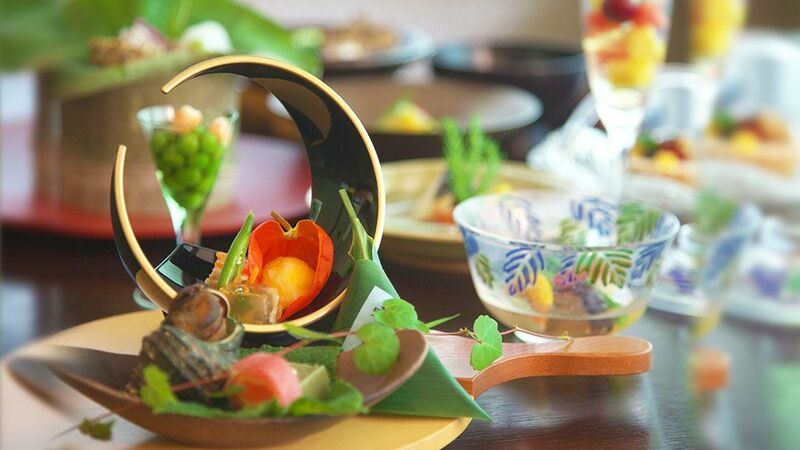 Meals prepared using carefully selected ingredients and the utmost care will allow you to appreciate the degree of delicacy our chefs incorporate into their cuisine. Take the Shin-tokkyu Kusatsu-go (New Limited Express Kusatsu) from Nakanojo, get off at Nakanojo Station, take the bus to Shima Hot Springs, and get off at the last stop. From Nerima, head towards Niigata, get off at the Shibukawa-Ikaho I.C., and then head towards Nakanojo and Shima Hot Springs. Cross over Shima Bridge, pass through 2 tunnels, and enter Shima Hot Spring Resort. Pass through the resort and cross over a red bridge to get to the Main Building. From Niigata Niigata nisi I.C. JR Agatsuma Line Approx. 30min. JR Yamanote Line Approx. 7min. © SEKIZENKAN. ALL RIGHTS RESERVED.